DONNA — A recent decision by the Texas Education Agency to not only maintain oversight of the Donna school district but increase it, is linked to findings of an audit requested by the district itself. The audit’s findings have led to the suspension of its superintendent, according to the letter notification sent by TEA. The board of trustees hired the Dallas accounting firm Weaver to conduct the forensic audit, which issued its report and suggestions to the board Sept. 1, 2017. The findings included issues with the lack of qualifications of two appointees of Superintendent Fernando Castillo — then chief financial officer Maricela Valdez and then assistant superintendent of human resources Jose Villanueva — to hold those positions. Additional findings included deficiencies in other departments, such as the business department where they found issues with purchasing, vetting of vendors and lack of adherence to internal controls. “The severity and totality of the findings contained in the audit report illustrate the district’s inability to deliver education services within a system of internal controls that assures Texas citizens that property taxes, Foundation School Program (FSP) revenues, and federal funds are efficiently and effectively expended,” states the letter signed by A.J. Crabill, TEA’s deputy commissioner of governance. Suggestions fixes include placing adequately qualified people in top positions, maintaining an effective system of internal controls that starts with top district officials, maintaining better financial records to avoid numerous budget amendments, and conducting background checks on vendors to avoid undisclosed conflicts of interest. 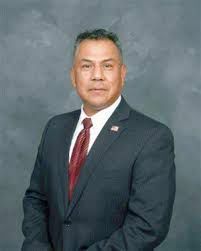 Crabill’s reappointment means Romeros will no longer just report back to TEA but have the authority to make decisions. According to the letter, her duties now will include overseeing the financial management and governance of the district. Other duties will consist of attending board meetings, including executive sessions, and directing the board of trustees when needed as well as ensuring that any recommended corrective action outlined in the forensic audit is implemented. As monitor, Romeros was paid $75 an hour by the school district, as required by TEA, and as conservator, her pay is required to increase to $85 per hour. Board President Efren Ceniceros said the reason the current board decided to request outside help to audit the district’s operations was the first step toward fixing many of these issues and questioned the decision by TEA to use this as a reason to increase its surveillance. This report resulted in the firing of Valdez and demotion of Villanueva to campus principal, and most recently it was also linked to the suspension of Castillo, whose employment status and potential termination is being discussed for the second time by the board during a special board meeting Tuesday. According to TEA’s account, the audit was proof that further oversight was necessary to ensure the district complies with state law and their duty to its students. The district has the opportunity to request an informal review of this decision and TEA’s reasons, so long as they make the request before Feb. 27. The board is expected to also discuss this matter during tonight’s special meeting.